Sheikh Jassim bin Mohammed Al Thani became the emir of the Qatari Peninsula on December 18, 1878, following the death of his father Mohammed bin Thani. He unified all the local tribes and earned autonomy for the Qatari Peninsula, which was recognized by both the Ottoman Empire and the United Kingdom. Sheikh Jassim is considered to be the founder of modern Qatar. 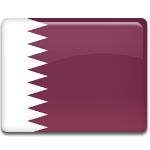 Originally National Day of Qatar was celebrated on September 3, the anniversary of the country's independence from the UK. However, in 2007 its date was changed to December 18 to commemorate the country's unification and the founding of modern Qatar. Qatar National Day is widely celebrated across the country with various festive events and activities, including (but nor limited to) National Day parade, heritage-themed cultural events at Katara Cultural Village, antique car show, firework displays, etc. On this day, government offices, educational institutions, and most businesses are closed.